A dehumidifier is a machine which reduces and maintains the level of humidity in the air. You may need to use a dehumidifier for a variety of different reasons, it could be needed for health reasons, comfort reasons, humidity control, water damage restoration, eliminate musty odours and prevention of mould and bacteria. It is a sophisticated electrical appliance that comes with a significant price tag. A common question asked is should I buy or rent a dehumidifier? Before you go and spend a bunch of your money getting one, here are 2 reasons to hire a dehumidifier instead of buying one. The frequency of use is a big thing to consider when deciding to rent or buy a dehumidifier. 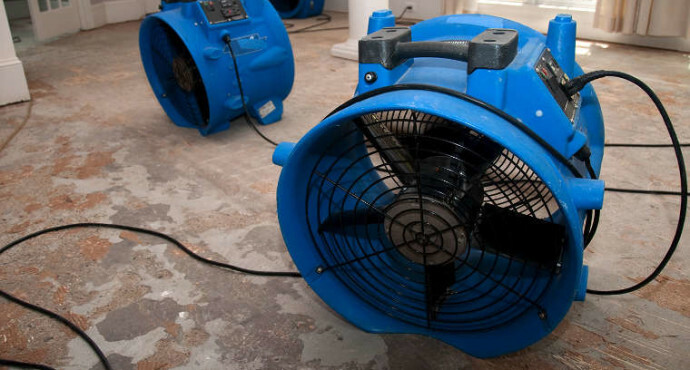 If you are cleaning up due to a sudden flood or leak, you may only require the one-off services of a dehumidifier. In this case, it is best to rent, however, if you happen to deal with regular leaks and water infiltration, having your own dehumidifier helps you manage your problems before health and structural damage occur. Owning a dehumidifier is not cost effective unless you suffer from frequent water damage. Renting is much more cost effective and then you should focus your efforts on preventing future water damage. It is important to understand that all dehumidifiers require regular maintenance in order to function effectively. Just like any other electrical appliance, your dehumidifier needs electricity to work. Dehumidifiers require power from a source which will affect the cost of your electricity bills. They come equipped with an air filter to remove harmful particles and allergens in the air. Filters ensure the efficient operation and create healthier, cleaner air in the building. These filters need to be replaced regularly to maintain optimal performance. On top of all that you’ll also need to remove the water from the collection bin, replace your hose, and clean the machine regularly. The costs involved and the frequency of use are two important factors to why you should rent instead of buying one. Owning a dehumidifier will set you back a significant sum of money and if you are not going to use it regularly then there’s no point of purchasing one. Contact us today by visiting us online or call us on 021-4866133 with any questions relating to dehumidifier hire. Most people look for a plumber when a plumbing emergency strikes in their home. The last thing you want to be doing at the time of an emergency is spending time researching and finding a good plumber. If you know what to look for, the whole experience will be much quicker and easier for you. 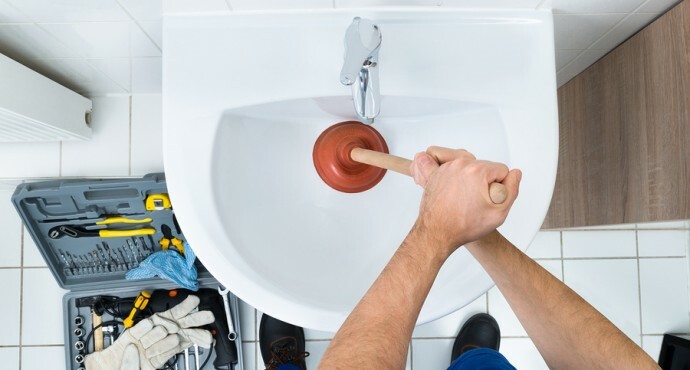 There are a variety of things you should look out for when choosing a plumber to ensure you’re getting the right professional for the job. 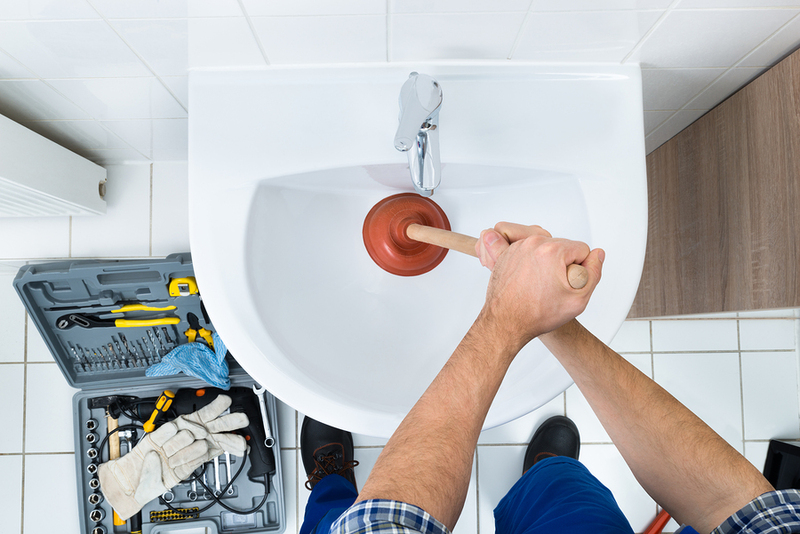 Here are 2 things to look out for when picking the right plumber. Looking online is a great way of discovering a wide selection of plumbers. A quick search will bring up plenty of results, however, with so much choice, it can be tough to choose the best option for you. Having a website or different social media channels gives people the chance to see how they work, what they offer, their knowledge and makes contacting them a lot easier when you have a problem. Having a blog with useful information and tips is often a great indication that they are professional, knowledgeable and willing to help customers. A blog with useful information and advice shows they are willing to share what they know with their audience as well as that it shows they are open to attracting further business and growth. If they have no website or one that doesn’t include adequate information about their services then you should do a deeper research into them to find out how reliable they are. While a lack of online presence doesn’t necessarily mean they are a bad plumber, it does make it a lot more difficult to build a picture in your head of what they are like to deal and work with. One of the most important things to look out for when choosing a good plumber is their qualifications and experience. Professional plumbers have to do different academic and industry training and pass various industry tests to carry out their work. Their accreditations and certifications will determine the work they are able to carry out. They should be licensed meaning they are registered by a governing body, however, many of them work without a license. Most homeowners assume every plumber needs to have one, so this question is always worth asking, you shouldn’t just take the plumbers word for it. Experience is also very important on top of qualifications. You should always find out how long their plumbing business has been in operation. Check and see what experience they have and how long they’ve been working in the trade. Also, you should see how many years experience the person who will be carrying out the work has. 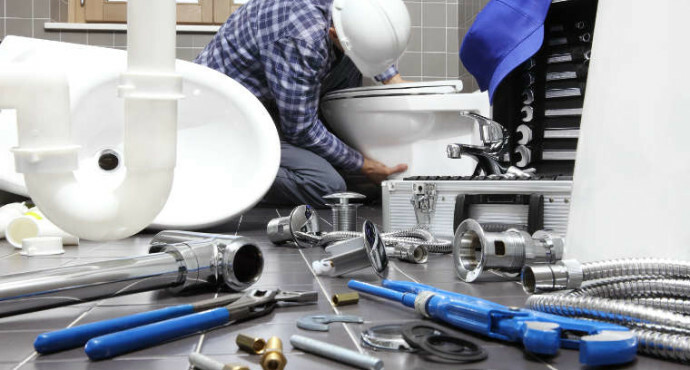 It takes several years for most great plumbers to acquire their knowledge and skills. The existence of the plumbing service is a great measure of how reputable they are. You want an experienced plumber capable of handling your needs. The more experience a plumber has, the more likely they are to get the job done right the first time. If you ever experience a plumbing emergency, hiring a professional to fix the problem is the best option. Knowing what to look for in a plumber before hiring one can make dealing with a home disaster so much easier. Call us now on 021-4866133 or visit us online today. Electricity is a resource that is extremely important to us in our daily lives. No matter what kind of business or property you own, it is a key part of your operations. Electricity can be taken for granted in the modern world. It is very important to remember that electricity and electrical systems are and can be extremely dangerous if not taken care of properly. Safety should be your biggest concern as a home or business owner. All business and property owners need to ensure that their electrical systems are maintained properly so that they can be safe and reliable for themselves, their employees and/or their tenants. The quality and operation of any electrical system are important. It can be easy to forget about the wiring behind the walls and sockets, assuming that everything is in working order. 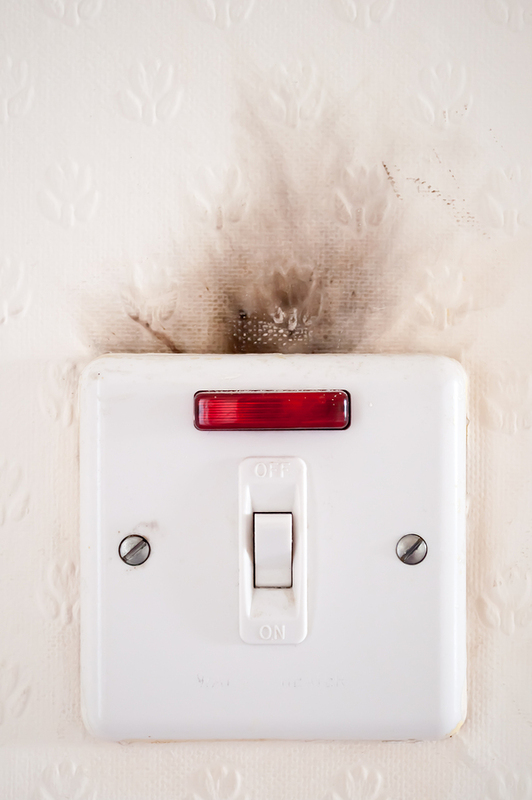 If your electrical systems and appliances seem to be working fine, there could still be serious problems that are developing with any part of it. An unseen issue with your electrics is a safety hazard to you or could be draining your finances unnecessarily. That is why it is important to keep your electrical appliances and outlets regularly maintained. Apart from the clear dangers poorly maintained electrical systems and appliances bring, there can be other more serious issues that can have horrible consequences. How regularly and effectively a company or person carries out electrical maintenance can be the difference between life and death. For example, if a fire breaks out in the property it is critically important that the lighting is still working to facilitate people evacuating the building. 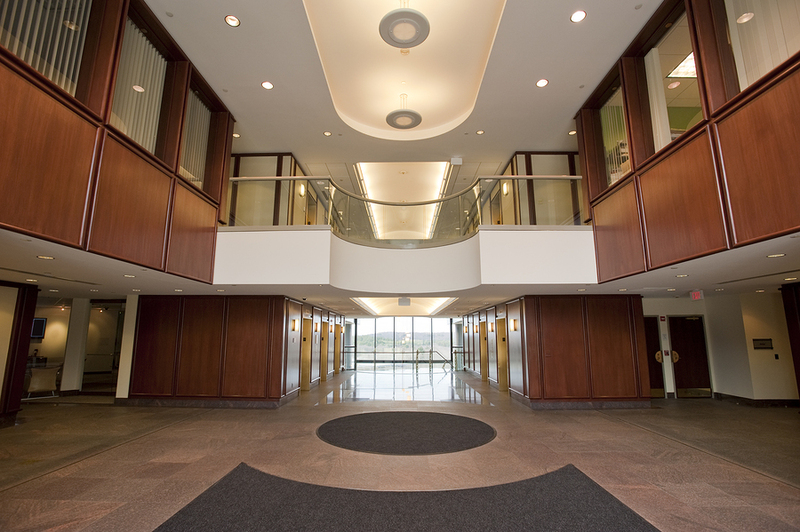 Proper installation and maintenance are very important in both commercial and residential facilities. Faulty electrical wiring that is not attended to immediately can result in a greater danger like a fire or even electrocution. Hiring a fully qualified professional is crucial in the proper installation and maintenance of electrical systems and appliances . This is evident in situations like complicated wiring which would require high levels of skill, only professionals are able to do the work clean and safe. 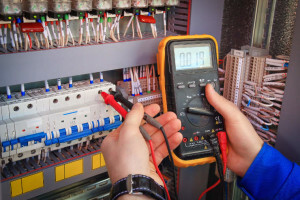 By doing a regular electrical system check for any small or big issues you will eliminate any problems which may arise in the near or distant future. To book an electrical maintenance, call us today on 021-486-6133 or visit us online to see more of the different services we provide. Facility Services Management provides a comprehensive range of services to owners and occupiers of commercial properties who are looking to outsource a facilities management strategy and require tasks to be done to their property. Whether you decide to outsource or manage them yourself, a great facilities management programme is essential to have in place. It is an integral part of any property maintenance from maintaining it to ensuring you have all of the essential elements needed to effectively manage it. There are many benefits of outsourcing a facility services management company. Facility services management companies are experts. They pride themselves on high standards and the best work possible being done for their clients. Having a team of skilled and experienced professionals to look after your premises will ensure everything is done impeccable and on schedule. Industry experts are constantly reviewing the latest industry best practices, regulations and innovations so you will always be supported by the best and most up to date work and practices available. They will also provide you with knowledge and expertise that can be extremely helpful for you. A professional facilities management company will offer a range of different services to maintain your property at a competitive price. Quality labour, specialist equipment and cutting-edge technologies are offered. You avoid the direct and indirect costs of doing the work internally, through outsourcing. There are a number of ways outsourcing a facility services company reduces your costs;- experienced maintenance staff will get more work done in less time, you won’t have to worry about any administration, insurance and safety procedures involved with cleaning staff, you eliminate costs of recruiting, hiring, training and the day-to-day management of employees for maintenance work and you don’t have to deal with the purchasing, maintenance, repair and replacement costs involved with maintenance equipment and materials. These are all the responsibility of the commercial management company. Safety in a property is the ultimate requirement. People expect safety standards to be met no matter what. Property owners and occupants really have to take safety seriously. 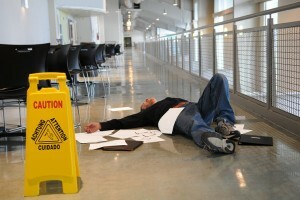 Outsourcing a facilities management company ensures that safety is never compromised. 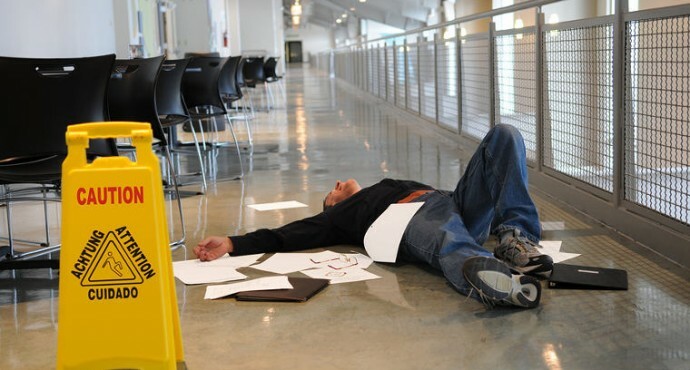 They are experts who will cover every possible aspect and part of a property that could possibly cause an accident. Being experienced and undergone the best training in the industry will ensure safety will never be a problem. If you would like to learn more about facilities services management then call us today on 021-486-6133 or visit us online to learn more about our services. Water damage is whereby your home and the objects within it are significantly damaged due to exposure to water. Water damage can be caused by many different issues like drains leaking, damaged or leaking water pipes, damaged showers and many more. Water damage claims can involve small amounts of damage to floors or extensive damage to home appliances. Here are 3 things you should do to manage potential water damage situations. Identifying a leak before it happens and before it causes any significant damage is one of the smartest and worthwhile investments you can make as a homeowner. Hiring experts to use top of the range equipment, technology and give their expert advice will allow you to identify and manage a water damage situation before it ever even happens. This investigation process will potentially save you big money in the long run so the smart thing to do is get one done immediately because a water problem could potentially be forming without your knowledge. 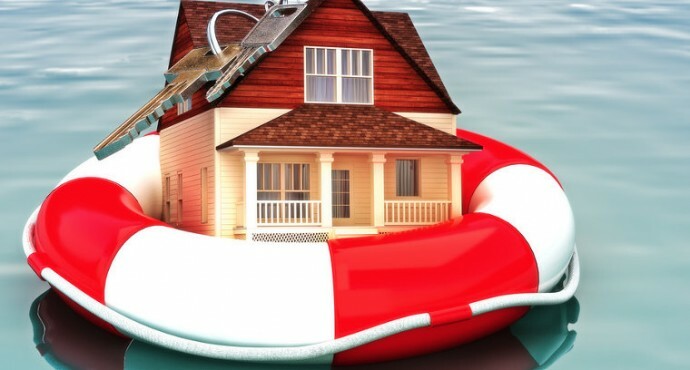 Firstly when getting a home you should always factor in water damage cover into your home and contents insurance package. 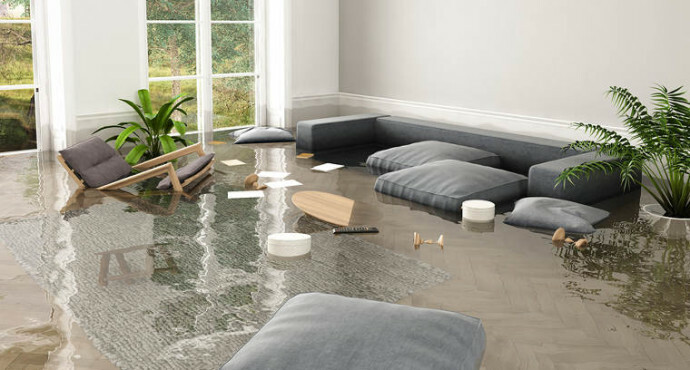 When a potential water damage situation arises it is essential to get an experienced and efficient team of experts to deal with your water damage claim. After water damage, everybody wants to get their home back to the way it was before the damage as soon as possible, so ensuring a quick and responsive service to water damage claims is key. Getting help and assistance with an insurance company is important in order to ensure you are looked after properly. As water freezes and becomes ice it expands, which puts a huge amount of pressure on the pipes in your home or business causing them to burst. Once that ice melts you’re left with a piping system that’s no longer fit for purpose and a huge water leak that can cause untold damage to your property. 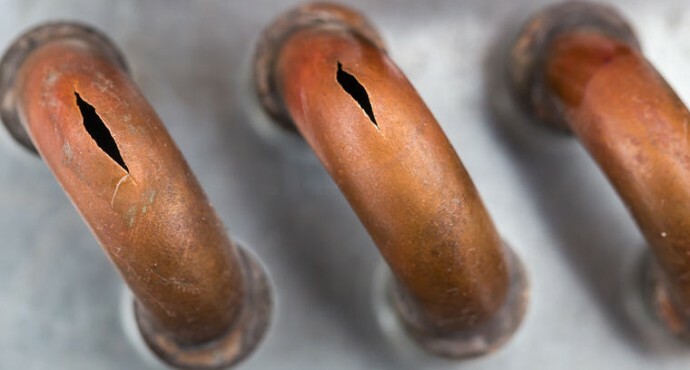 Avoid damaging water leaks during this cold snap, here are 3 tips to keep pipes from freezing and bursting. Add insulation in every room possible. Some of the most common places that are neglected insulation-wise are attics, crawl spaces and basements. All of which will commonly have water pipes running through them. The better insulated they are, the easier it will be to maintain higher temperatures and keep those pipes from freezing, bursting and flooding your building. Often where a water pipe goes through a wall and outside of your home or office, the whole that has been made to accommodate the pipe won’t be exactly flush. This means that even though the gaps between the wall and the pipe may be very small, they still exist and are constantly leaving warm air out and cold air into your property. Using a caulk gun, you should take care to seal up the holes and cracks around pipes on both the interior and exterior walls. Most homes around Ireland have taps and hoses outside in the garden. The pipes leading out to these have to face the coldest of temperatures and are by far the most likely to freeze and burst in sub-zero temperatures as they don’t get the benefit of indoor heating. You should detach and drain any outdoor hoses and put them into storage until the temperatures begin to rise again and close inside water valves that supply outdoor taps. Once this is done you should open the valves at all of the outdoor water supplies and leave them open so if any water remains in the system it will have room to expand without bursting your pipes. If it’s already too late and you have a burst pipe that’s flooding your home, call Advance Maintenance Ltd on 021-486-6133 now. Winter is well and truly underway and the rain and ice have substantially increased the risk of staff getting hurt or injured due slipping and falling. But there are some property maintenance steps that you can take to make your work environment as safe as possible. Here are 2 tips to keep your staff safe this winter. Keeping your footpaths clear of ice and snow throughout the day is the best way to reduce the chance of one of your staff members slipping and falling on their way to or from work which could result in a nasty injury. Use a combination of salt, sand and other materials to help melt snow and ice as well as provide some much-needed traction in slippery conditions. Winters in Ireland are filled with rain, and as your staff are coming into your building they bring a lot of water in from the outdoors. This is especially dangerous on smoothly finished floors and can cause a lot of falls if the problem isn’t solved. Putting down mats at entrances is a fantastic way to stop the spread of rainwater throughout the building. The mats should be non-slip, good at absorbing water and as long as possible so that your employee’s feet will be dry by the time they have walked over them in around 3-6 steps. Another step you should take is to provide umbrella bins next to every entrance so staff can put their umbrellas straight in there and they don’t drip all over the floor. 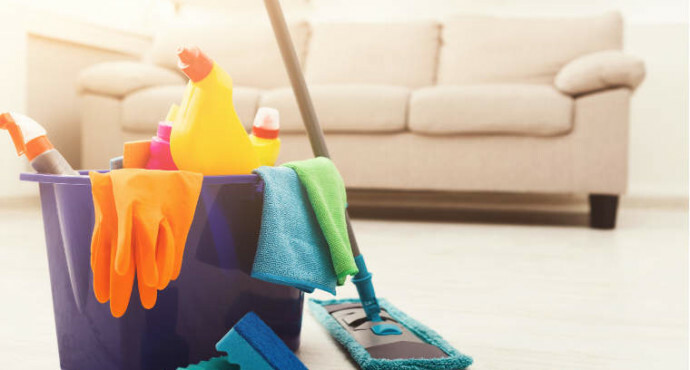 You should also mop and dry the floors as frequently as is necessary to keep them clean and dry, the frequency will change depending on how bad the rain is outside and how many people are coming and going from your building. Finally, make sure you put out caution signs in affected areas to let people know about the wet floors so that they can take a bit more care while walking. Keep your staff and office safe this winter by making sure all footpaths are clear from ice and gritted for extra traction and also by making sure any smooth finished floors by entrances are maintained properly. Contact us today to schedule an appointment to discuss our full property maintenance services. Call now on 021-486-1633! Floods strike fast and they leave a trail of damage to homes and businesses in their wake. 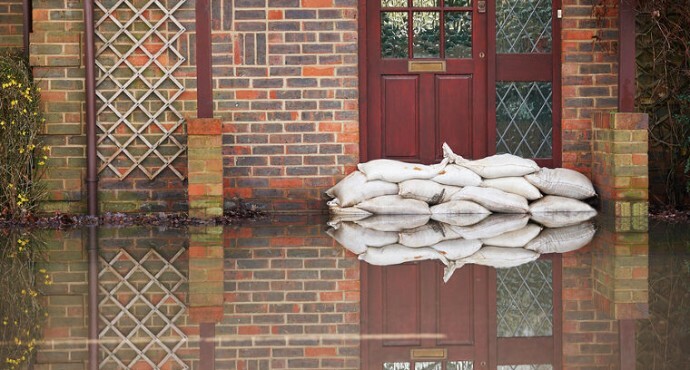 You can’t always completely mitigate the damage a flood is going to cause, but being well prepared is the best way to minimise the damage it can cause to your property. Here are 3 more ways to protect your home or business from flooding. If you have an oil tank outside of your home or business, make sure they are placed well above historic flood levels and that they are anchored securely. The same should be done for any outdoor equipment you have such as backup generators or your office’s air conditioning system. If they are below the flood level and not anchored securely enough, there is a risk of them breaking free. Not only will you use your tanks and equipment, but they can cause a serious amount of damage to your property and others. Ground floor entryways and windows below flood level need to be extremely secure if they are going to have any chance of battling the pressures that flood waters can throw at them. Inspect the seals of your doors and windows. If you find any cracks or deformities in the seal, then replace them in a timely manner. It may be too late to do so by the time a flood warning is given. Keeping your outdoor drains clear might sound like an obvious way to protect your home or business from flooding, but it can be easy to forget about if there is a panic about floods. You should also check them at intervals throughout the day, heavy winds usually accompany flooding and they can cause branches to break off and other debris to clog your drains. To keep your home or business protected from flooding this year make sure to raise and anchor all fuel tanks and outdoor equipment above the flood level if possible, inspect your window and door seals for damage and replace them if necessary, and make sure you keep your outdoor drains clear. 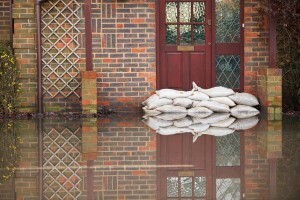 However even if you take all of the precautions it’s not always possible to defend your property from flood damage. 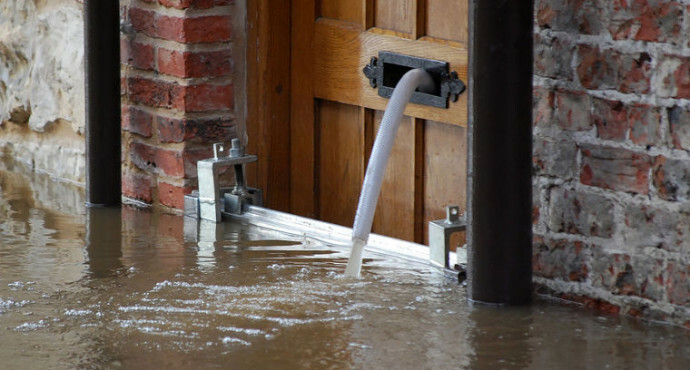 If you need an expert, insurance approved flood company contact us at Advance Maintenance Ltd today. Now that Autumn is here, we are quickly approaching flood season. If you’re home or business is on a floodplain, knowing how you can protect them and what you can do to be prepared to minimise flood damage can be vital. Here are 3 ways to protect your home or business from flooding. One of the most damaging things a flood can do is short out your entire electrical system, which in some cases can lead to the entire house needing to be rewired or an electrical fire in the non flooded areas of the building. To avoid this, you should have your sockets, switches, fuse boxes and circuit breakers raised to at least a foot above the expected flood water level. This might seem like a lot of work but you’re in an area that commonly floods, it will pay for itself over and over again. Getting prepared for a flood with a flood kit that’s filled with all of the essentials you need can be a huge benefit. You should fill the kit with insurance documents, bank account details, birth certificates, tax returns, ID’s, a first aid kit, bottled water, non perishable food and waterproof clothing and the details of your, insurance provider approved, flood damage repair company. 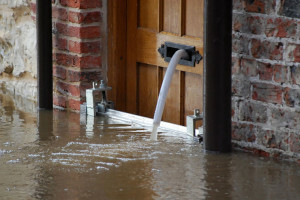 While your flood kit may not stop your home or business being damaged initially by the flood, it can help you get back in action much quicker and prevent ongoing damage by giving you the ability to contact a flood damage repair company immediately as well as easing some of your worries in an already stressful time. Before you evacuate the building due to flooding, it’s important to ensure that your supply of gas and electricity is turned off to reduce the likelihood of fires if a gas pipe is ruptured or your electrical system is shorted out. Your landlord or gas/electricity suppliers should be able to tell how to do it safely and where the switches and valves are located. Knowing how to do this in advance will make it much easier for you when it comes time to turn them off, especially if it’s a flash flooding situation. If they aren’t clearly marked, then label them so it’s easy to locate them in an emergency situation. Protect your home or business from flood damage by raising electrical sockets, switches, fuse boxes and circuit breakers well above the regular height of flooding, create a flood kit so you can react quickly and know in advance how to turn your electricity and gas supply off in a hurry. If you’re unlucky and have to deal with flooding, you need a flood damage repair company you can trust. Call Advance Maintenance Ltd today on 021-4866-133 and we will be with you as soon as possible to mitigate the damage and get you back up on your feet. The summer might be nearing its end, but there’s still time to save money on your air conditioning bill. With a little bit of ingenuity and some careful planning you can reduce your HVAC energy costs for this summer and for every summer to come. 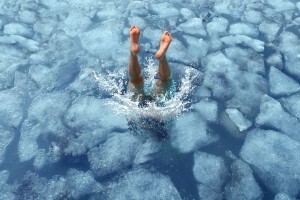 Here are 3 more ways to cheaply cool your office during summer. Sun protecting window film can be a huge help in keeping your building cool without putting stress on your air conditioning unit. This simple film can block up to 75% of the sun’s heat that would normally come through your windows and it is fairly inexpensive. With the savings you make on air conditioning costs, the window films will pay for themselves in no time. It’s a natural reaction to go to open a window on a particularly sweltering day, but if you are using a HVAC system it can actually have the opposite effect of cooling you down. It allows all of the cool air your system is producing to escape which puts more strain on the system and causes your electricity bills to start skyrocketing. Opening windows is fine if there is no HVAC system running, but if there is it is extremely counter productive. The winter months are darker than the summer and so more lights in the office will need to be turned on throughout the working day. Lights being turned on generate heat while also increasing your electricity bill, so they have a 2 fold effect on your cooling costs. Take a walk through your office and identify the lights that aren’t necessary and make a note to keep them turned off as much as possible. Adding sun protection film to windows, keeping windows closed when air conditioning units are running and minimising the amount of lights that are turned on inside the office at any given time will save you money and keep your office cooler. 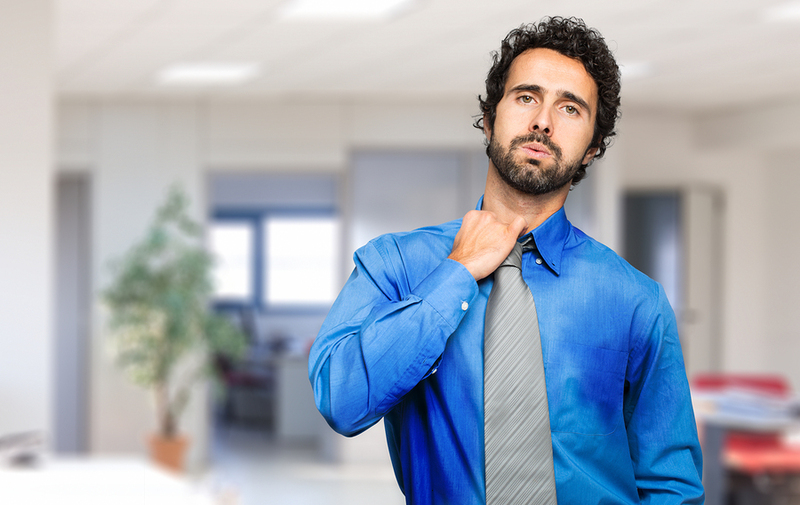 If you’re looking for more than just a few quick tips to keep your office cool contact us about facilities management today. Running an office can be expensive during the summer. You have all of the usual running costs along with trying to maintain a temperature inside the building that’s comfortable for the employees. It can be hard to strike a balance between cost effectiveness and temperature that both you and the office workers are happy, but it can be done with a little ingenuity. 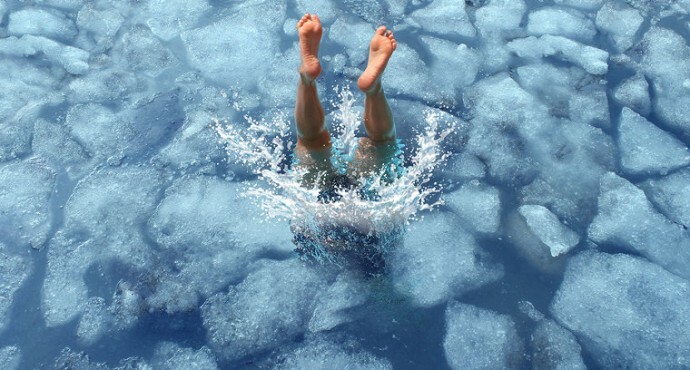 Here are 3 ways to cheaply cool your office during summer. Night cooling is a technique whereby you allow cool night air to run through the building during the night. This can remove a lot of the heat that has built up over the course of the day. Similarly, interior building fabric such as walls, doors and floor slabs that are cooled in this manner can absorb much more heat the following day which helps to keep internal temperatures down making you less reliant on your HVAC system. 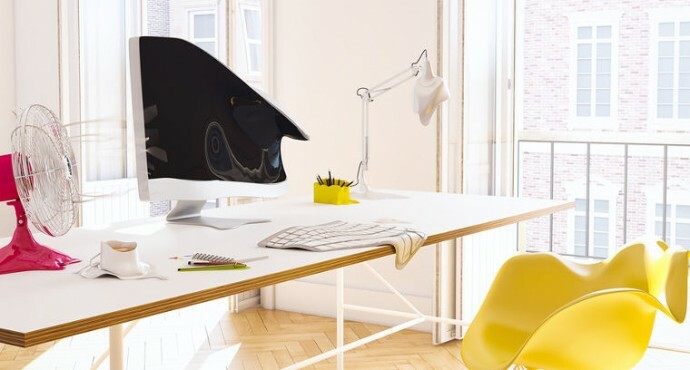 This should only be done through secure windows and vents, if you don’t have any such windows or vents then try out some of the other techniques to keep your office cool. Initially, HVAC maintenance might not look like the cheap option when it comes to keeping a building cool. But even just making sure that all of the air conditioning ducts, fans and filters are clean will make your system much more efficient when it comes to dealing with the heat. Closing the blinds and curtains is yet another simple technique that can have a big impact on office temperature and the costs associated with it. This will help prevent the sun from creating a greenhouse effect in your building which increases the temperature. The reduction in the temperature will also take some more strain off of your air conditioning system, so it can run using less energy. If you want to keep your office cool this summer on a budget you should consider leaving cool night air run through your building at night through secure windows, make sure that the fans, ducts and filters in your HVAC system are clean and functioning as they should and lastly, close your blinds to stop the sun getting in and heating up the room. For more advanced techniques and cost saving measures, you need a professional facilities management company. They help you save money while relieving you of the headache of dealing with maintenance issues and allowing you to concentrate on your business. Let’s discuss what facilities management can do for you, call us on 021-486-6133. If you ever have the misfortune of having to call a fire damage restoration company, you will know how difficult choosing the right people for the job when you are under such a huge amount of stress. We recommend being prepared just in case disaster strikes and selecting your fire damage repair company in advance, this cuts down on time spent searching which is crucial as the quicker action is taken the better. When choosing your fire damage repair company, here’s 3 more reasons to choose Advance Maintenance. When it comes to your home or business, the fire damage repair company you choose should have extensive experience in dealing with every aspect of the repairs and cleaning work that goes into restoring a building after a fire. The last thing you need is for an inexperienced worker omitting something important or making a costly mistake that could lead to further damage down the line. Even with the best of intentions, a lack of experience can end up making the situation a whole lot worse and may not be fully covered by your insurance providers. When fire strikes, we understand how difficult it can be and we make sure to give you the best possible customer service to help you feel as much at ease with the situation as possible. Through every step of the process from insurance claim to fully restored building, we will keep you in the loop and be happy to answer any questions you have along the way. 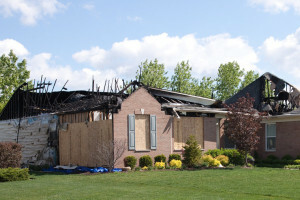 We don’t just repair the visible damage that the fire has done, we fix any structural damage or weakening and we also clean up the mess it has caused and have all of the specialist equipment at our disposal that is necessary to clear the smell of soot and smoke from the home so it doesn’t linger once the repairs are completed. If you need a fire damage restoration company, visit us online or call us on 021-486-6133 today. We have a wealth of experience, unrivalled customer service and we handle everything from structural repairs to cleaning. A fire in your home or business can be an extremely stressful ordeal, the last thing you need is to be forced to try pick up the pieces alone. At Advance Maintenance Ltd, we have a full range of fire damage repair services to speed up the process and take some of the stress out of the situation. If you need a professional fire damage repair service, here’s 3 reasons to choose AMLTD. Business and home fire damage insurance claims can be very complex and it’s easy for your claims to get bogged down. Advance Maintenance puts a highly skilled and experienced insurance claim team that can help you through the whole process. We are also insurance company approved contractors and we have an extremely efficient and systematic approach to your home or business insurance claim that ensures we can speed along the process and start making repairs to get you back to your routine as soon as possible. 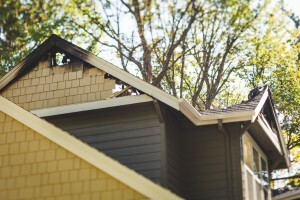 The quicker a fire damage repair company can get to the scene and start assessing the damage and cost of repair, the sooner you can get your home or business back to it’s former glory. We can generally arrange a site visit within 24 hours of your call so that we can secure your property and start making repairs as soon as possible. When you choose Advance Maintenance as your fire damage repair company you can rest assured that we will take it from there. You won’t have to deal with multiple contractors as we have experts ready and waiting to restore your home or business in any way necessary. This includes general building, plumbing, heating repairs, electrical repairs, joinery, roof repairs, plastering, tiling, interior design/decor and more. 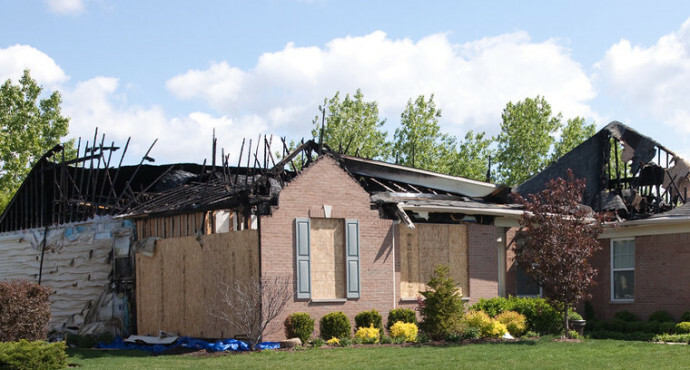 When choosing the right fire damage repair company for you, remember we help you through the insurance claim process, we can visit your site within 24 hours of your initial call and we are well prepared to deal with any type of damage the fire has caused. If you need a fire damage repair company, call us now on 086-260-4782. The quicker you call, the quicker we can help. If you’re ever unlucky enough to have to deal with flooding in your home, you have to be able to choose the right company to help you pick up the pieces and mitigate the damage. 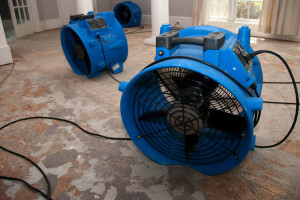 You will need a water damage repair company that has a wealth of experience dealing with insurance companies and that acts as fast as possible. 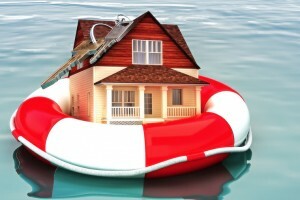 But that’s not all, here are 2 more tips for choosing the best flood damage repair company. If your home or business has the potential to be flooded, you need a flood damage repair company that operates 24 hours a day, 7 days a week, 365 days a year. A lot of flood damage is caused at night time, if your chosen repair company closes at night they are putting your property at risk as they won’t be able to mitigate any damage until the morning. Having a water damage mitigation company that is always there for you when you need them most should be one of your top priorities. To have the best chance of selecting the best flood damage repair company for your needs, make sure they are fully licensed and insured to carry out flood damage mitigation and repairs. If they aren’t licensed and insured then you should move on to the next candidate as it’s possible for them to do more harm than good. There are very few things, if any, that can cause as much damage as water. Every second that goes by, without proper action being taken by a responsible and efficient flood damage repair company, significantly increases the risk of more damage to your property. When selecting the best company for your needs, remember to make sure they offer a 24/7 service 365 days a year and also ensure that they are fully licensed and insured to carry out all of the necessary repairs to get you back to your routine. If you need a flood damage repair company, trust the experts at Advance Maintenance. Contact us today by visiting us online or by calling 021-486-6133. If your home or business gets flooded, it can be an extremely trying time. The whole situation is extremely stressful, but you have to act fast and call in a professional flood damage repair company as soon as possible. The quicker you are able to find a suitable company and they can get started on their work, the better. The longer it takes them to get onsite the greater the overall extent of the damage and the higher your repair bill will be. 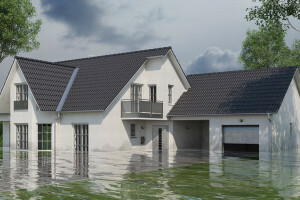 Here are 2 tips for choosing the best flood damage repair company to help mitigate the damage. 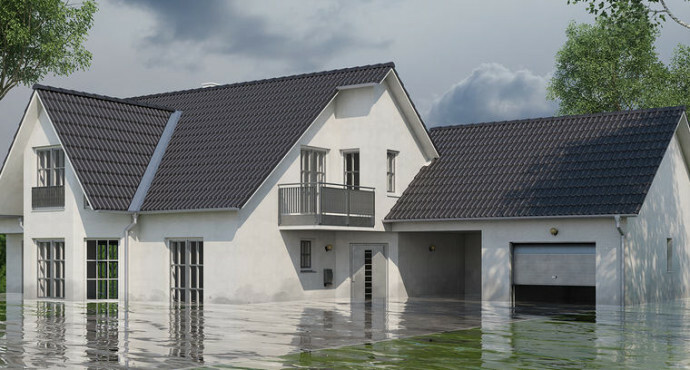 Flood damage can be very costly if you are forced to foot the entire bill yourself, but many homes and businesses around Ireland are covered by their insurance in the event of a flood. When selecting a flood damage repair company, make sure that your insurance company recognises and approves them before they begin any work. If they aren’t approved by your insurer and your policy covers flood damage, keep searching until you find a company that’s the right fit. The company you select should also have extensive experience in dealing with insurance companies and policies so that they can help you through the whole process as it can be complicated, especially when you are new to it. In the event of a flood, every minute that goes by without any action being taken causes more and more damage. You should always choose a company that is willing to act fast, immediately if possible. If you make contact with a company and they say it will take a few days or a week, move on to the next company as that will be too late to stop the majority of the damage. A fast response is always a crucial component when attempting to mitigate flood damage. When choosing the best flood damage repair company to help you, ensure they are approved by your insurance company, have a lot of experience dealing with claims and know how to accelerate the process. Also, you should always choose a flood damage repair company that responds quickly to minimise the amount of damage caused. If your home or business has been flooded and you need help, contact Advance Maintenance immediately by visiting us online or by calling us on 021-486-6133. 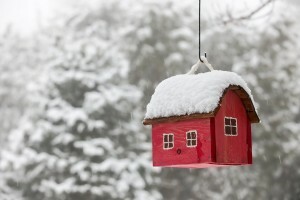 After your property has had to endure the winter, spring can be a welcome relief. The improving weather and increased amount of daylight hours give you a great opportunity to maintain your property and make sure everything is up to scratch. Here are 3 spring property maintenance tips. Over the course of the winter wear and tear on flooring tends to speed up. This is largely due to bad weather which can cause people to walk in with damp or muddy shoes. 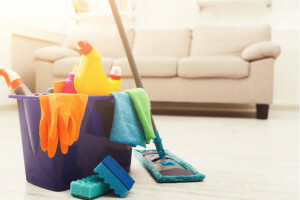 This makes the spring the perfect season to properly check and maintain your floors with a once per year deep clean. For hard surfaces such, stripping and waxing (choose the most suitable technique for the surface in question) can go a long way to extending the lifetime of your flooring. 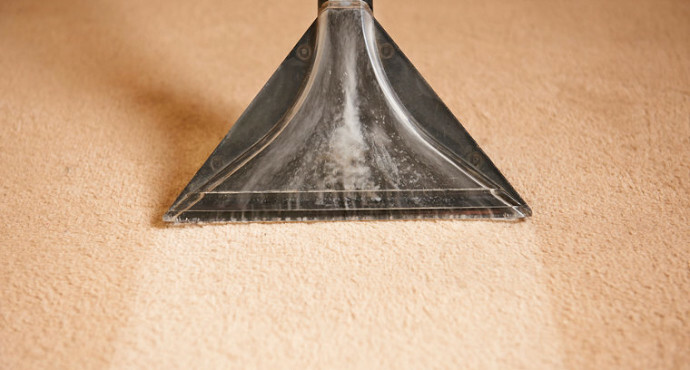 When it comes to keeping your carpets/rugs in tip top condition, wait until the bulk of spring pollen is gone from the air and have your carpets professionally cleaned and shampooed. This is a fantastic way to keep carpets and rugs looking great for longer while also reducing allergens in the building. Spring is the ideal time to inspect carparks and footpaths for cracks, resurfacing, sealing and lining. Ireland’s wet and rainy winters have a tendency to introduce a few new potholes each year, this is also something you should be looking out for. Compiling your carpark and footpath snag list early in the year leaves you with plenty of time to plan and carry out all of the necessary repairs. For any property that makes use of air conditioners, proper maintenance is fundamental to their performance when trying to cool down the building on hot summer days. Without proper maintenance, your a/c unit may still work but not nearly as efficiently and the difference in running costs can be astronomical. Cleaning the coils greatly improves air quality and ensure you have a healthy and productive workforce. This is especially true when it has gone unused for several months. Call in an air conditioning professional and make sure your units are up to standard and fit to run for another summer. Maintain your property properly this spring time. 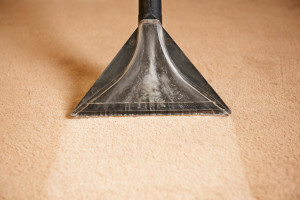 Remember to check your flooring and carpets for dirt or damage and either give them a deep clean or replace them if they are too far gone, inspect carparks and footpaths for potholes, cracks and other issues and make sure you have a professional take a look at all of your a/c units to make sure they are ready to do their job for the summer. If you need help maintaining your property, don’t hesitate to contact Advance Maintenance today. Simply visit us online or call us on 021-4866-133. Winter takes it’s toll on buildings. The cold, wet, windy weather is enough to test any structure and make sure that facility maintenance teams have their work cut out for them. Acting now and making repairs before issues become larger will save you money through the whole year. Here are 3 facility maintenance tips for after winter. Winter tends to speed up the ageing process of the exterior of buildings as they are on the frontline against the harsh weather. Examine the facility by looking for chipping paint, damage to siding and for any new or expanding cracks in walls or the foundation. Gusty winds and ice over the winter months cause a roofs craftsmanship to be put to the test. If it’s safe to do so, you should inspect your roof. 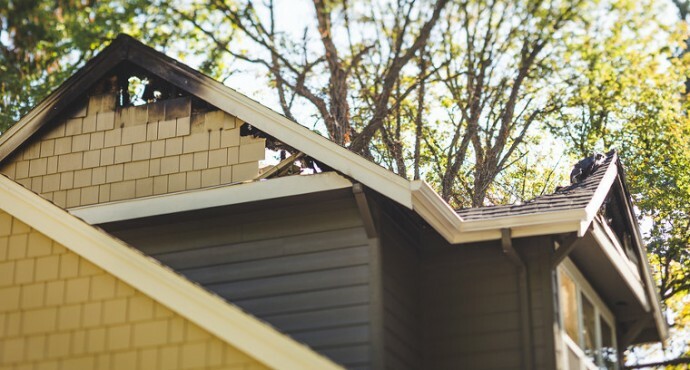 Watch out for loose or missing shingles, missing materials like flashing or seals around skylights, areas where water pools and any other type of leak, tear or puncture damage you can find. Roof damage can be extremely costly if left unchecked so this is your chance to nip it in the bud. Living in Ireland, the rainy season is never really over so your downspouts and gutters should be in tip top shape. Improper guttering will very often lead to water damage and roof leaks so it’s important to check them for damage and clogging both before and after the winter. 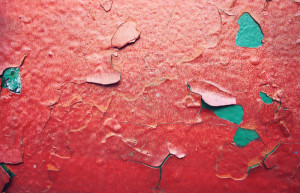 To ensure your facility is properly maintained after winter make sure you examine the outside of buildings looking for chipped paint, damaged siding or cracks in walls or the foundation. Similarly you should take some time to check your roof for any damage to missing roof tiles and materials and make sure your downspouts and gutters are clog free and aren’t showing any signs of damage. You should only carry out these checks yourself if it is safe to do so. If you would like us to carry out any checks or to fix any issues that you have found simply visit us online or call us on 021-486-6133 today. As mentioned in 4 ways to lower your heating bills this winter, it can be easy to lose your grip on your heating bills during the winter. 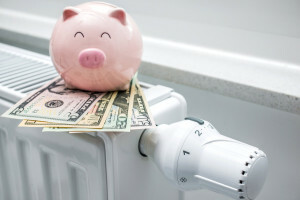 The helpful tips in that article will go a long way to reducing your heating costs, but here are 4 more ways to lower your heating bills this winter. Electronics like computers and photocopiers in your office generate heat which can be wasted if they are placed without much thought. Positioning your employees workstations in a way that allows their computer fans to heat up the room, by aiming them into the room instead of at walls etc. This might not save a huge amount, depending on how many computers are running, but everything adds up and the computers are being used anyway. Electrical cables, gas lines and pipes all come in through exterior walls and if they aren’t properly sealed then you could be losing a lot of heat through the gaps, you could also be leaving your premises open to mice and insects. Even if they have been sealed with caulk, the seal can degrade over time and become obsolete. Get a can of expanding foam and simply seal the gaps, this is very cost effective and takes very little time. Thermal imaging technology is very advanced and allows us to identify exactly where heat is escaping from a room. By booking a thermal image leak detection you can find gaps that you didn’t know were there and fill them in. This helps to eliminate wasted heat and reduce your dependency on your heating system. Turning down your thermostat might sound like an obvious solution, but it is one of the best ways to save money on heating. Lowering your thermostat by just one degree can save you as much as 3% on heating bills. Stay warm for less this winter. Position workstations in a way that best uses the heat they generate, seal up holes in exterior walls, get a thermal imaging leak detection expert to show you exactly where heat is escaping and slightly adjust your thermostat to make big savings. No matter how careful you are, your heating bills will be at their highest in the winter. If left unchecked those bills can skyrocket out of control and cost you a fortune. 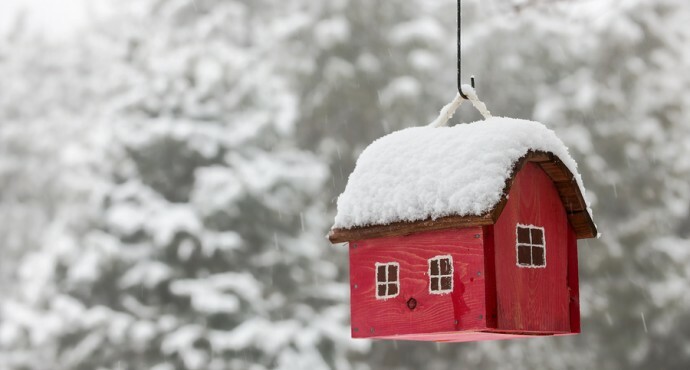 Here are 4 ways to lower heating bills this winter. Over time, door and window seals wear out and become less effective which allows more cold air in and leaves more warm air out. Most seals can be replaced easily, simply remove the old one and tacking on the new one. This will exclude more drafts and help to lower your heating bills. While it may be freezing outside, the sun still shines every day. Take advantage of this free solar heating by opening up blinds and curtains in your home/office. This will take significant strain off of your heating system and allow you to heat your building for less. 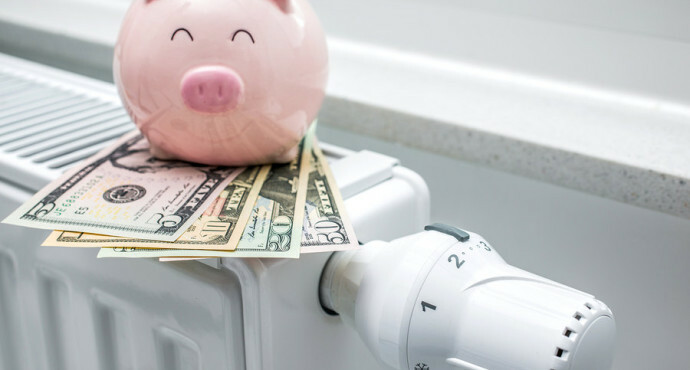 It might seem like an unnecessary expense to some people, but servicing your boiler annually can have a dramatic impact on your heating costs. Older boilers are nowhere near as efficient as the models available today, so if your boiler is more than 15 years old you should consider purchasing a new one. This can be expensive but it can save you around 30 cent per euro that is spent on your heating and hot water bills. Insulating your heating and hot water pipes can be hugely beneficial when making an effort to reduce your heating costs. Using pre-scored foam tubes that snap around the pipes as insulation is quick and easy and it significantly reduces the amount of heat lost. Insulating your pipes also has the added benefit of reducing the likelihood that your pipes will freeze. Getting control over your home or office winter heating bill is extremely important and it can be easy to get started. Simply replace worn out door and window seals with new ones, take advantage of the free heating offered by the sun, get your boiler serviced or consider investing in a new one if it’s 15 years old or more and insulate your heating and hot water pipes to keep in the heat and stop them from freezing. If you don’t have time to carry out these tasks or you need a facilities management expert to get you to the next level, visit our contact us page or call us on 021-486-6133 today! Keeping your property protected from potential intruders is at the top of almost every home or business owner’s’ mind. Security lights that illuminate areas around the property when a sensor is triggered can play a crucial role in the security of your home or business. 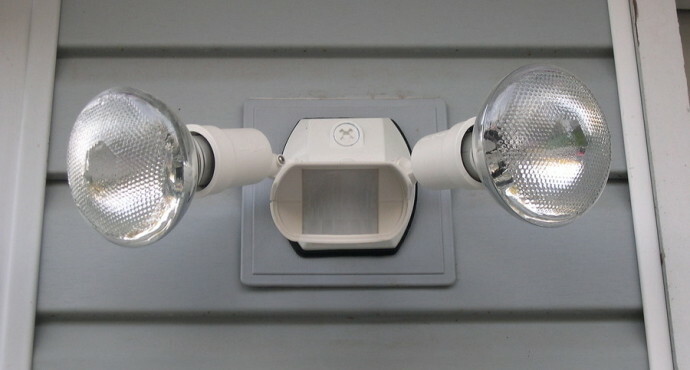 Here are 4 benefits of installing security lights. Criminals prefer to work in the dark where there is a low chance of someone being able to recognise their face. Security lighting takes the darkness away and illuminates them. This can often lead to the intruder moving away from your property. If you are dealing with a foolhardy criminal who has their heart set on breaking and entering and is undeterred by the light, the light being set off will give you a warning that they are approaching. This can give you the time you need to get somewhere safe and call the Gardaí. 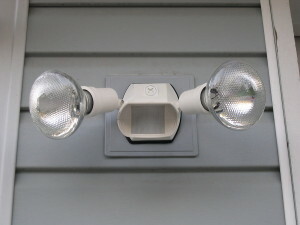 Security lights are activated automatically by tripping a sensor. This means that even when you are away, your lighting will continue to make intruders think twice before committing a crime. This is great for late nights when no one is at the office and for keeping your home protected when you are away on holidays. Whether you are installing security lighting to protect your home or your business, they have the benefit of preventing accidents, especially in the winter months. There have been countless accidents involving people tripping and injuring themselves when leaving work in the dark, security lighting helps prevent accidents in the dark by brightening the way. If you are thinking about installing security lighting but haven’t decided yet, remember they actively deter criminals, they give you prior notice of an intruder’s presence so you have time to get somewhere safe, they keep deterring criminals even when you aren’t there and they can help prevent accidents in the dark. Start protecting your property, have your security lighting installed by the experts. Click here to visit us online today. The summer is over and autumn just beginning. The colder weather and rain that comes with autumn means you will have to take an entirely different approach when it comes to building maintenance. Here is how to prepare your building for autumn. Over the summer months debris can begin to clog up your gutters. The results aren’t as noticeable in summer as there is less rain, but as rain levels increase so will the risks of having a blocked gutter. If left clogged, your gutters will not be able to function correctly and bring rain water away from your house. This can lead to water permeating your home which can lead to countless problems down the line. Properly maintaining a gutter is far cheaper and easier than finding and repairing the leak. Going into autumn, you will be beginning to frequently use your heating system again. This means that you should be attempting to keep the inside air in and the outside air out whenever possible to minimise heat loss and keep your bills down. Warm air will quickly escape through any cracks. So, go around to all of the windows and doors leading to outside in the building looking for cracks in the frames and sealings. 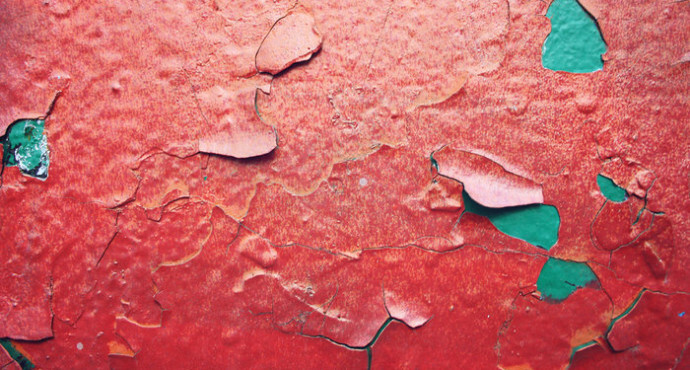 Sealing up these cracks with caulk can have a noticeable impact on your heating bill. As the days grow shorter you will be using your lightbulbs far more often. This is a great opportunity to replace your normal bulbs with energy saving or LED bulbs. This has two major benefits, Firstly your electricity bill will be lower as these types of bulbs require less energy to run. Secondly, you generally have to replace them far less often than traditional bulbs, saving you money long term. Some LED light bulbs have a lifespan of over 20 years so they are definitely worth the initially more expensive price. Prepare your building for autumn and make savings in the process by cleaning out your gutters, using caulk to seal up cracks in window and door frames and by installing energy saving light bulbs, especially in rooms where lights are on for an extended period of time. Book your facilities management consultation now by visiting us online or by calling 021 486-6133. Subsidence is the term for the caving in or sinking of an area of land. 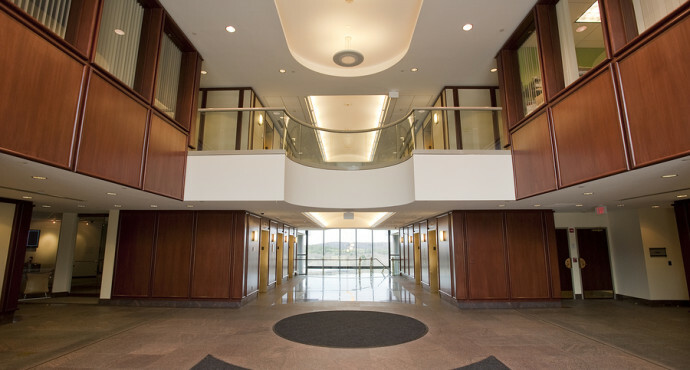 Subsidence in homes and office buildings is generally caused by unstable soil beneath the property rather than the weight of the structure that has been built on top of it. Subsidence can have negative effects on the visual appearance of a building, but it can also be more serious and cause structural problems. 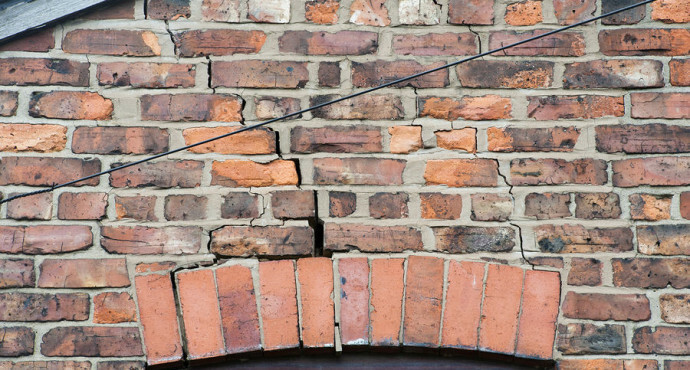 It’s crucial to catch subsidence early on, here are 4 ways to spot subsidence. Some of the early signs of subsidence in a property can be spotted by checking the windows and doors of a property as they are weak spots. Go around to all of the windows and doors in the property and look for small cracks appearing in the walls around them, if you observe cracks in more than one spot it is likely you are dealing with subsidence. You can also open and close the windows and doors. Doors and windows sticking is another tell tale sign of subsidence. Some small cracks appearing in walls is normal in a lot of circumstances, but watch out for larger cracks especially if they get wider as they get higher up on the wall. If the cracks are 3mm or wider and moving upwards diagonally, you should contact a subsidence specialist to get a second opinion immediately. If you have added an extension onto your home or office then you should go and check the point where it meets the main building. As subsidence is caused by movement underground, you may be able to see a crack where the two meet, as your extension may be being pulled away from the main building. If you have wallpaper in building there is another sign of subsidence that you can look out for. Go around to all of the rooms with wallpaper looking in particular at where the walls meet the ceiling for signs of crinkling. Always be conscious and on the lookout for subsidence. Check if your doors or windows are sticking or have small cracks around them, watch out for diagonal cracks in the wall especially if they are 3mm or wider, check where any extensions meet the main building for cracks and finally look for crinkles in your wallpaper where the walls meet the ceiling. 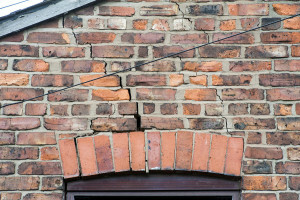 If you have any or all of these signs of subsidence, call a professional out to get to the bottom of the problem. Book your subsidence consultation by visiting us online today. Keeping your staff comfortable during the summer months is crucial to keep them happy and working optimally. However, cooling the office inefficiently drives up your costs of doing business and eats into your profit margins. 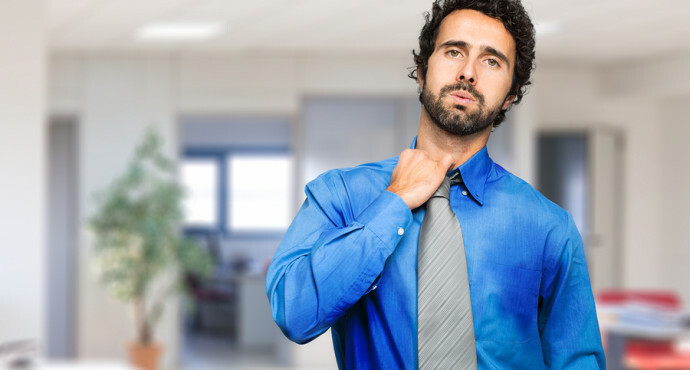 Here are 3 cost effective tips to keep your office cool in summer. Your air conditioning system has to work to keep a steady temperature. It does this by diminishing the heat produced by every person, piece of equipment and light bulb that is in the building. LED lights are one of the coolest running light types available today, so they can genuinely reduce strain put on your HVAC system, thus reducing the costs to keep it running. Not only are LED lights cool running and energy efficient, they also last a lot longer before needing to be replaced compared with traditional lamp types. The prices of LED lights have also dramatically decreased over the past few years so it is crazy not to consider them. The running time of your HVAC system should be reviewed regularly. Look at the office schedule and see if there are any times when the air conditioning is set to run and there is no one in the office. Sometimes you can find a few hours or maybe even a full day during the week where the system is running and doesn’t need to be. All of the equipment in an office produces heat which in turn warms up the office. Reducing the amount of equipment that is running is a way of instantly reducing the amount of heat produced. Whether you use an air conditioning unit, your electricity bill will be lower. Some pieces of equipment are integral to the running of your business and may need to run through the entire working day, but some are not. One easy way of reducing the amount of equipment running in an office is by asking your employees either put their computers to sleep or shut them down completely at break times. Keep your office cool the cost effective way this summer by switching to LED lighting, reviewing the run time of your air conditioning unit and turning off any equipment that isn’t being used. For more comprehensive ways to save on running costs you should hire a professional facilities management company. Visit us online or call 021-486-6133. There a can be huge benefits to for your business by outsourcing your facilities management to a company that specialises in that area. There is so much to get through in a working day that facilities management and maintenance can sometimes slip to the back of your mind, outsourcing solves that problem. Here are 3 benefits of outsourcing your facilities management. Hiring a facilities management company also gives you peace of mind in knowing that industry experts are on hand to help if any issues arise. They have the skills and equipment to get the job done well so you don’t have to worry about specially training employees or seeking out and paying for the expensive equipment that needs to be used for some tasks. If you own a building and are letting it out to businesses or for residential purposes, keeping your occupant turnover rate as low as possible is very important. It’s far easier to keep a good occupant than it is to find a new one. Showing occupants that you pay attention to their concerns such as the temperature of the office or strange smell coming from the sink will make them happier and more likely to stay. A good facilities management company will take care of this for you and help you retain your occupants. Facilities management should never be viewed as a cost to cut out, but a way of lowering your overall costs and improving your business. Outsourcing your facilities management to experts can lower your maintenance and repair costs, it allows you get to rely on experts in their field to come to your aid if something needs to be done and the occupants of the building will be happier and more likely to stay there. If you are looking for a company to manage your facilities then visit us online or call us today on 021-486-6133. Bad or old wiring can be an inconvenience when it causes you to lose power, but it can also be very dangerous as faulty wiring is one of the main causes of house fires. Here are 4 warning signs that you have faulty wiring. If your lights dim or flicker when something is turned on it is a sign of an overloaded circuit. In some cases lights can dim and flicker occasionally even when the wiring of the building is sound. However if it happens regularly, then you should call a professional electrician as this is a sign that you have faulty wiring or that an old circuit breaker has to be replaced. Sometimes the first few uses of a new appliance may produce a strange odour, that can be normal. But if the odour is coming from the outlet, fuse box or a breaker panel then you need to call an electrician right away to avoid any further damage. If you notice any discolouration or charring of switches or outlets then it will have to be replaced as soon as possible. The outlets and switches themselves are not always to blame, sometimes the cause of the problem lies with the wiring, usually close to the outlet or switch, in the circuit being faulty. This causes the outlet or switch to arc and cause small fires that die out quickly. Fuses and circuit breakers are there as a precaution to prevent a circuit from overloading and causing a fire. Fuses have to be replaced every time they are blown and circuit breakers are reusable, generally just having to be flipped back up. Eventually however circuit breakers can get worn down and need replacing. Another sign of faulty wiring is if you regularly have to replace fuses and circuit breakers. If this is an issue that you have then you need to call a fully qualified electrician to come in and resolve the problem. If you notice your lights regularly dimming and flickering, a burning odour from outlets, fuse boxes or circuit breakers, discolouration of outlets or switches or that you routinely have to replace fuses and circuit breakers you may have faulty wiring. 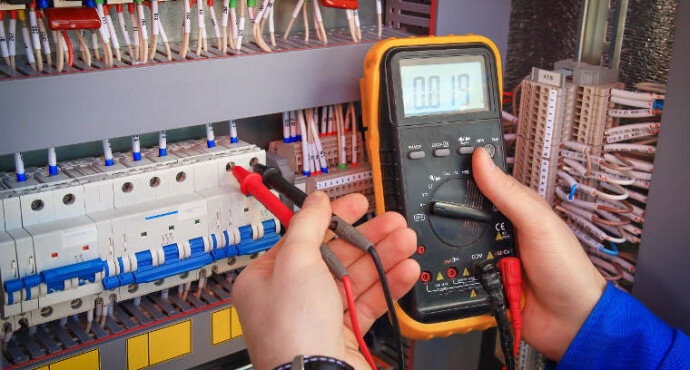 If you think that this is the case then it’s essential that you call a reliable, professional electrical repair service immediately to assess your wiring and fix any problems before the issue becomes more serious. Small plumbing problems often lead to much larger and more expensive problems down the line. 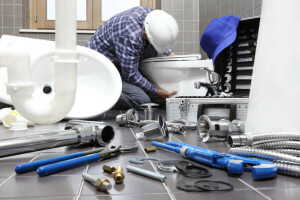 Sometimes it’s hard to know whether or not you even have a problem to being with, so in this article I will be telling you the 3 signs you have a plumbing problem. A warning sign to look out for is if the faucet of your tap starts spluttering. Often this can be harmless as it is just air trapped in the pipes. However if it is happening to several faucets around the house, or if it is a common occurrence it may be a sign of a bigger problem. Usually when taps splutter on a consistent basis it means there is a crack somewhere in the pipes. If you are worried that this is happening to you, it’s time to call a plumber before the issue before it gets out of hand. Another sign that you have a plumbing problem is if water is draining more slowly than usual in sinks, showers or baths. Before a drain blocks completely, it usually slows down. Sometimes even taking minutes to drain a shower. If you are experiencing slow draining water, act fast to rectify the situation. It saves you time and money to catch the problem early. A slow drain can be harmless if it doesn’t happen often. However if it is a persistent issue then you more than likely have a blocked pipe. This is also the case for toilets, so keep an eye on it and take action before it becomes a bigger problem. This can occur in your bathroom and may not be a serious issue. If it is a recurring issue however you may have a larger plumbing problem. Look out for mould or mildew on non shower walls. If it is present, you may have a water leak. Even small water leaks can cause serious damage to the structure of your home over time. It also helps create the dark, damp conditions that mold and mildew love. If you are facing this issue call a plumber before that small leak causes a big problem. 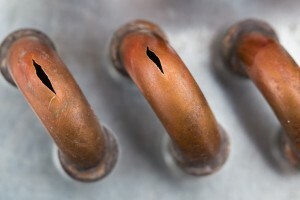 Check around your home, if you have any of these 3 signs of a plumbing problem, call a professional. It saves you time, money and a lot of headaches down the line. If you spot any of these issues, please don’t hesitate to contact us. Drain blockages can happen at the most inopportune times and wreak havoc on your daily routine. If your drains ever do get blocked then don’t hesitate to call us, However in this blog I will be going over tips on how you can avoid getting blocked drains in the first place. The first step is to have them cleaned by a professional, it stops any build up and may just save you a headache down the line. Once they are cleaned you should follow these simple steps to keep them clear. Grease from things like frying pans and grill trays can be a nightmare for your drains. Once it goes down the drain it cools down and solidifies which can lead to them blocking and backing up. Try pouring this grease into a can and disposing of it another way to save yourself hassle down the line. Only flush toilet paper down your toilet. The so called “flushable” wipes that are everywhere now are one of the biggest causes for blockages in households. Throw them in the bin after use to avoid any unpleasant surprises. Strainers are quite inexpensive and are extremely useful in kitchen sinks so that any waste food can be caught before it falls down into the drain. Using them in bathroom drains is also advisable as they stop hairs from going down into drains and getting tangled up. This is especially good advice for anyone who bathes their pets in the bath. Running hot water down your kitchen sink can help to get rid of any grease or oil deposits that have become trapped in your drains. Similarly running very hot water down your bathroom drains can get rid of soap build up in your bathroom drains. Being conscientious about what you put down your drains can save you time and money in the long run. If you use these 4 simple tips for keeping your drain unclogged you shouldn’t have any trouble. However if you do run into trouble Advance Maintenance is here to help. The weather is starting to get colder so logically you are going to want to start using the fireplace again. 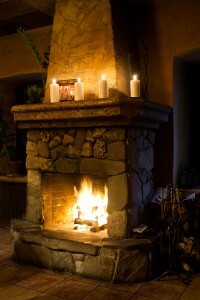 Fireplaces in the home are an embodiment of comfort and warmth. However fire is dangerous and should never be taken lightly. Your fireplace can even become a lifeline in certain situations if there are power outages or your heating system fails. Keeping up to date with proper fireplace safety & maintenance is crucial and will lead to a safer, happier home. In this article I will be giving you 5 fireplace safety tips to keep you and your family safe this Winter. Your fireplace should always be cleared out properly after each fire. However if you have a fireplace with doors you should clean them thoroughly before lighting the first fire of the year to remove any built up smog that’s residing on them. The best way to effectively perform a chimney sweep is by hiring a professional to do it. There are countless nooks and crannies that are near impossible to see which often go unnoticed when you attempt the sweep yourself. Professional chimney sweeps have special tools to make sure dangerous obstructions are removed and your chimney is cleaned thoroughly. Be sure to install both a smoke detector and a carbon monoxide detector especially if you’re moving into a new home. In the event of a disaster these two little tools could literally save the lives of you and your family. Decorating fireplace mantels, especially during the holidays, is something that goes on in nearly every home in Ireland. If you are careful this doesn’t have to be an unsafe practice. It’s important to make sure there’s a 2 ft. space between any object and the fireplace. This ensures that flammable objects will not become overheated and catch fire. You can find fire guards very easily and often at very low cost. It’s important to keep the fire guard up if the fire is ever left unattended. This blocks sparks, lumps of coal or anything else from falling out onto your floor if it gets spat out of the fire. 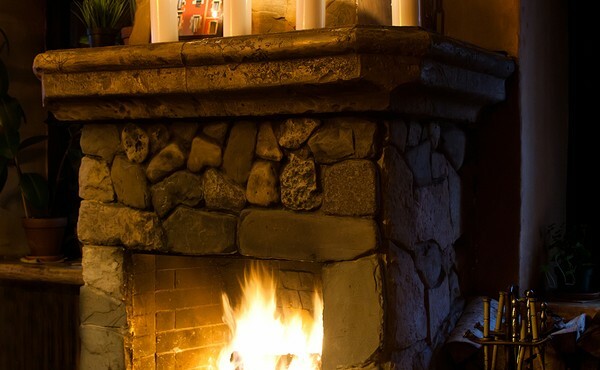 These 5 fireplace safety tips will help you stay safe when using your fireplace. If you ever do get into trouble use the fire extinguisher, but if it’s too late for that, keep low, get out of the building and call the fire brigade. If you ever do lose or damage your home due to fire then AMLTD is here to help you deal with your insurance company and rebuild your life. Have a small supply of non-perishable, easy to prepare foods on hand. This can include things such as tins of beans. Keep extra supplies of essential medication in case it’s too difficult to get to the pharmacy. Have an adequate supply of fuel for your heating system and cooker. If possible have suitable alternatives should the main ones fail. Have a shovel and a large bag of salt on hand to keep pathways safe and avoid any painful falls or slips. Have torches and spare batteries in case of a power cut. Have candles ready also, they should be kept in proper candle holders and away from draughts. Never leave a candle unattended or by a christmas tree. Ensure your heating system is working correctly. Know how to turn off your water supply in case of burst pipes. Keep a water container so you will always have a drinking supply. This checklist should help you to stay safe this winter. This list is just the basics and is by no means all encompassing, if you think of anything you feel will benefit yoursafety and preparedness this Winter you should do it. If you do run into any problems such as faulty heating systems or burst frozen pipes we would be happy to help you. With this year’s winter projected to be one of the coldest that we have ever experienced here in Ireland it’s more important than ever that you are prepared in order to avoid disasters like frozen pipes bursting. 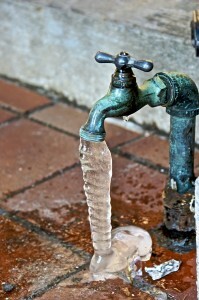 In this article I will be sharing 4 ways you can prevent frozen water pipes. These tips are especially essential if you are leaving your home unattended for any length of time over the winter months. Keeping your water pipes insulated will help save them from the freezing conditions and give them the ability to endure freezing conditions for a little bit longer. However this will only stave off the cold for a limited amount of time, if the temperature falls below -2°C for more than four hours this won’t be enough to save them. By this I don’t mean keep it on full blast day and night. Lower the temperature on your thermostat to as low as 10°C. This will prevent the temperature in your home from dropping dangerously low and into frozen pipe territory, while also not breaking the bank with the heating bill. I know what you’re thinking, you would be insane to leave your water running for a full week while you are on holidays, especially now that the water charges are in. However all that’s necessary is to keep faucets dripping at a slow rate, this prevents the water in the pipe from freezing as it isn’t kept in the ice cold pipe indefinitely. The final piece of advice that I will be giving you today is when you are away leave your cabinet doors open. Generally under the sink isn’t the best insulated place in the world so leaving the cabinet doors open allow the heat from your house make contact with your pipes and further reduce the risk of them flooding. 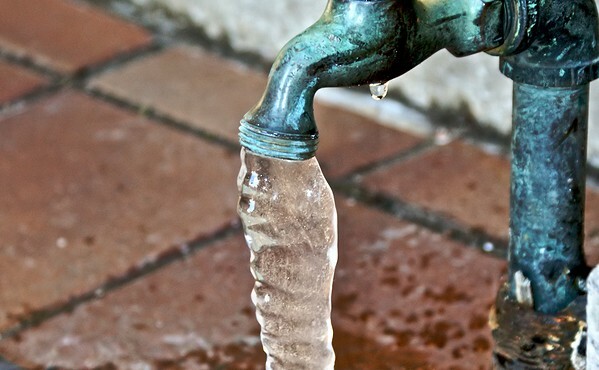 If your pipes do freeze and burst while you are away, call a professional. At AMLTD we have all the tools for the job, but hopefully it never comes to that. 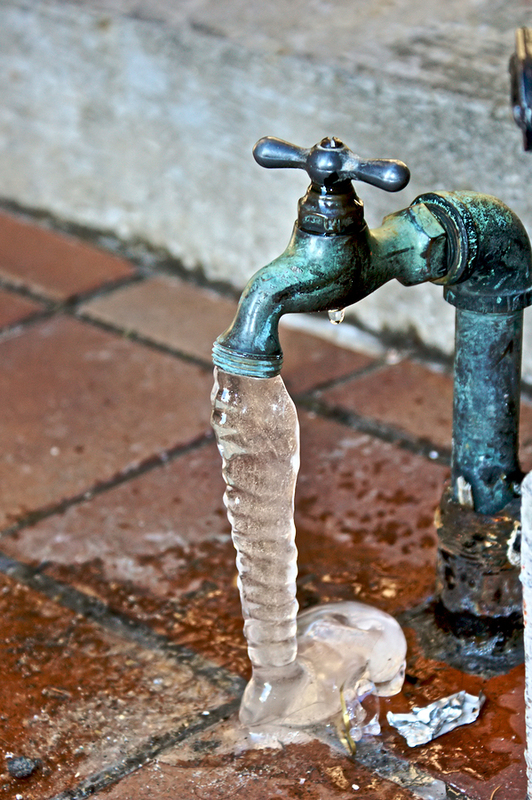 Good luck this winter and don’t let your pipes freeze. Servicing cork, Dubin Limerick Galway waterford, Tipperary, Kerry & All of Ireland!